I was introduced to the work of Karel Zeman last year through Second Run’s Blu-Ray release of The Fabulous Baron Munchausen (my review can be found here: http://blueprintreview.co.uk/2017/07/the-fabulous-baron-munchausen-baron-prasil/). The film absolutely blew me away with its imagination, style, technique and sheer sense of fun. Watching it, alongside the impressive array of special features, made me hungry for more of the director’s work. Thankfully, Second Run have come to my rescue and released what many consider Zeman’s masterwork, Invention for Destruction (a.k.a. Vynález zkázy, The Fabulous World of Jules Verne or The Deadly Invention) on Blu-Ray and DVD in the UK (but region free for the foreign importers among you). Invention for Destruction sees Zeman adapt Jules Verne’s ‘Facing the Flag’ for the screen, throwing elements of other stories from the renowned sci-fi writer into the mix. Lubor Tokoš stars as Simon Hart, an engineer working alongside the genius inventor Professor Roch (Arnošt Navrátil) before they’re both kidnapped by pirates under orders of the evil Count Artigas (Miloslav Holub), who takes them to his secret headquarters inside a hollowed-out volcano. The Count isn’t interested in Hart, so locks him up, but persuades Roch to carry on and accelerate his research into ‘the secret of matter’. In the Professor’s mind, this could help him create a new form of energy, but Artigas wants to use it to fuel a giant gun and flying machine to be able to conquer the world. Can Hart escape and stop the Count before it’s too late, or will Roch take his mind off his experiments long enough to realise what harm his invention could do in the wrong hands? As is probably clear from the brief synopsis above, Invention for Destruction plays on the nuclear fear of the era, much like many Hollywood B-movies of the time (and Japanese – Godzilla of course). However, as the booklet included with this disc describes, there’s a Czech/Communist spin to this message, with its aristocratic industrialist villain who profits from the efforts of others (not only Roch but with his own scientist-in-residence, Serko, played by Václav Kyzlink). These political subtexts aren’t the main reason to praise and enjoy this wonderful film though. What impresses most is its style and design. Zeman wanted it to look like the illustrations in the early publications of Verne’s novels. To achieve this, as well as shooting in black and white, he added straight-line textures to every element of the film, mirroring the woodcut/woodblock printing style. This texture was added to the sets, backdrops and costumes, and lines were even added as an overlay to some of the few natural shots of water and such. 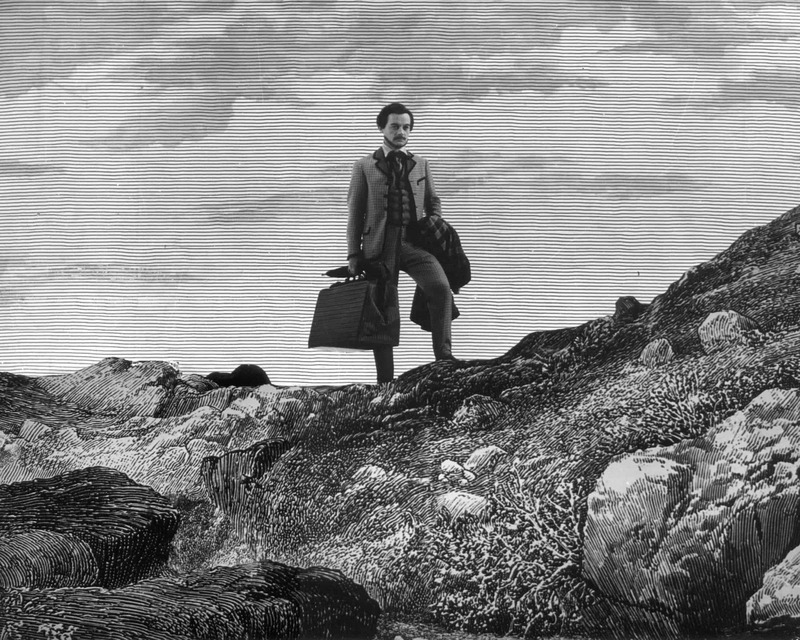 The attention to detail is astounding and the result is a film that truly looks like an illustration from a 19th Century novel. Every frame is a work of art so, like The Fabulous Baron Munchausen, Invention for Destruction is an absolute feast for the eyes from start to finish. Also like that film, Zeman utilises a vast range of special effects techniques to achieve his unique look. From drawings, miniatures, puppets, stop motion, paper cutouts, matte paintings and everything in-between, the director throws it all into the mix. Pretty much every single shot in the film (and that’s no exaggeration) contains a special effect of some sort, so it’s a staggering technical achievement. The effects may not look realistic and you can see the joins on more than a few occasions, but naturalism was never Zeman’s intention. He just wanted to create something magical that conjured up memories of reading Verne’s wonderfully imaginative stories, and he succeeded in breathtaking fashion. Although it’s a remarkable film I’d easily recommend, it did fall a fraction short of The Fabulous Baron Munchausen in my mind. This might be down to the fact I saw that first and the gleeful surprise of witnessing a Zeman film for the first time had a great impact on me. However, I do feel Invention for Destruction doesn’t quite have as much charm as Munchausen. It’s still a fast-paced fantasy adventure romp that’s a pleasure to watch, but the story here is a little less quirky and Hart isn’t nearly as charismatic a character as Munchausen. 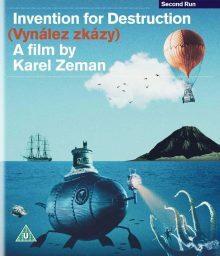 Invention for Destruction still out-charms most fantasy films though, of any era. Like in Munchausen, Zdenek Liska provides the soundtrack to Invention for Destruction. 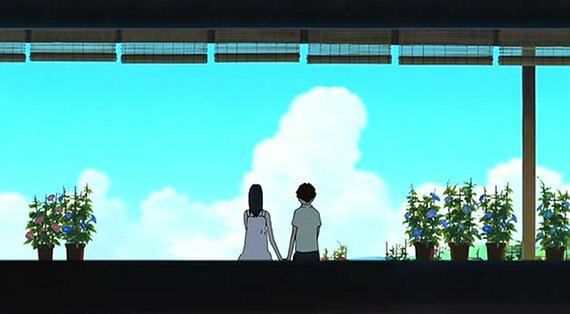 Once again it’s an unusual score that fits perfectly with the one-of-a-kind visual experience it’s accompanying. It does provide an odd tone at times though that took a bit of adjusting to. Primarily I’m referring to the way music is used, or rather not used, in some of the set-pieces. Instead of introducing a big dramatic cue when the on-screen action kicks in, Liska often tones down or cuts off the music completely, which can seem an odd choice at times. This technique works perfectly in an underwater sword fight scene though, emphasising the unusual quiet you would naturally experience in that setting. The score does get bigger in the final act, without losing it’s unique personality thankfully. The influence of Invention for Destruction can’t be understated either. 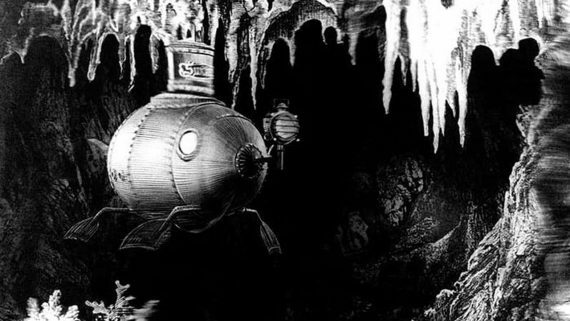 It wasn’t Zeman’s first film, but it was the first to get acknowledged overseas and won much acclaim, particularly in the US where it was dubbed into English and released as The Fabulous World of Jules Verne. Although it’s maybe not well known these days, the film has clearly inspired the work of numerous respected directors. Watching this, it’s hard to believe Terry Gilliam wasn’t a fan and you can see a lot of Wes Anderson’s style here too, particularly The Life Aquatic (due largely to the underwater setting of course). So, on paper, it’s a slightly more conventional film than Munchausen and lacks a little of its sense of wacky fun, but Invention for Destruction is still hugely enjoyable and refreshingly unique. It’s certainly a phenomenal achievement in terms of design and special effects and utterly charming to boot. Another easy recommendation and further fuel for my growing love of Karel Zeman. Invention for Destruction is out on 19th November on Blu-Ray and DVD in the UK, released by Second Run. The picture and sound quality are very good. I watched the Blu-Ray version and it looks and sounds fantastic. It’s such a clean and crisp transfer, it looks simply beautiful and clearly shows the level of detail that went into the film’s visuals. – Invention for Destruction (Vynález zkázy, 1958) presented from a brand new 4K restoration of the film from original materials. 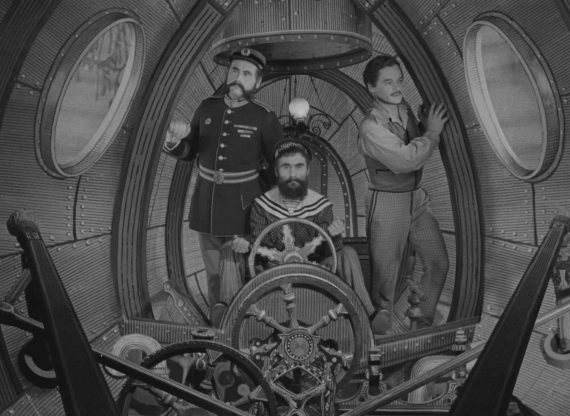 – Alternate English-dubbed feature presentation as The Fabulous World of Jules Verne, with alternate credits and opening introduction sequence. While the making of featurettes here are a little slight in comparison to the superb feature length Film Adventurer documentary that was included with The Fabulous Baron Munchausen, Second Run make up for it by including a couple of Zeman’s excellent short films. John Stevenson’s appreciation is passionately delivered too. Plus it’s nice to have the English-dubbed version of the film so you can introduce it to younger children. 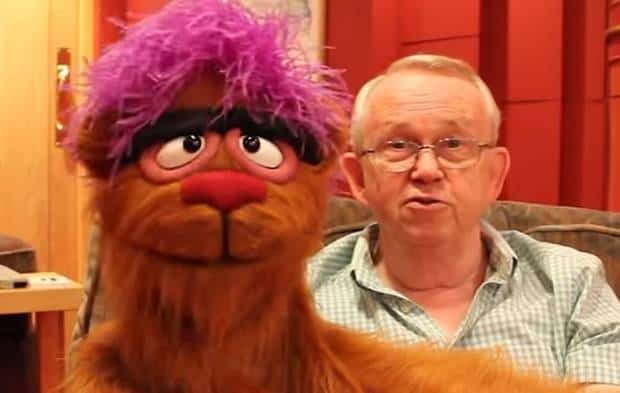 I’ll certainly be trying to talk my kids into watching it. As always, the booklet is a treasure trove of insight into the film and its makers too.